Evolution Platform - iDirect’s Evolution modems support DVB-S2 with Adaptive Coding and Modulation (ACM), a bandwidth-efficient technology for networks with larger outbound capacity requirements. iDirect’s DVB-S2 was designed and developed around IP and uses extremely efficient encapsulation techniques that deliver speeds up to 149 Mbps. Description: The iDirect Evolution X1 Outdoor satellite modem is perfect for use in large, outdoor networks common to Energy Exploration & Production, pipeline monitoring, SCADA, and femtocell applications. Featuring the latest iDirect DVB-S2/ACM and Adaptive TDMA, geo-redundancy, VLAN functionality, optional AES encryption and enclosed by an IP67 weatherproof enclosure that enables extended temperature range, passive cooling and multiple power options including DC, making it perfect for solar applications. Description: The iDirect 3100 remote satellite modem. It's an ideal satellite Internet modem meeting most government, residential users and enterprise customers’ needs. The iDirect 3100 is a single box solution that is ideal for small to medium-sized organizations with basic remote networking needs. The iDirect 3100 is capable of delivering broadband access of up to 18 Mbps downstream and 4.2 Mbps upstream. Description: The iDirect Evolution series X3 is the most innovative modem in satellite technology. It is able to successfully maximize the capacity of satellites in order to allow for numerous star topology networking opportunities. The X3 utilizes DVB-S2 and ACM (Adaptive Coding and Modulation) for outbound data and deterministic TDMA on inbound data. Description: The iDirect Evolution X5 Series Satellite Router (Modem) X5 also has advanced QoS and traffic prioritization to sustain the production of all applications. Warranting that applications are prioritized based upon their needs and bandwidth availability across various sites and networks. Description: The Evolution X7 remote is the first of iDirect’s next-generation family of remotes. Built on an entirely new multi-core hardware system, the X7 is optimized to deliver best-in-class DVB-S2/ACM and A-TDMA throughput performance. The X7 also features SCPC on the return and an 8-port embedded switch for managing multiple user groups. Description: The X7-EC is a new variant of iDirect’s popular X7 satellite remote enhanced with embedded computing technology. The X7-EC combines standard iDirect X7 features with extra processing power and memory to run value-added software without impacting satellite communication performance. Customers license supported applications on the X7-EC to customize the remote, creating more seamless delivery of services to the network edge. Consolidating these enhanced capabilities into a 1U rack-mounted form factor creates an ideal enterprise class solution. Description: The iDirect 7350 Series uses the high performance TDM on the outbound and highly efficient deterministic MF-TDMA technology on the inbound, delivering speeds up to 17 Mbps on the outbound and up to 7.7 Mbps on the inbound. Supporting multiple topologies such as star, mesh, and star/mesh networks as well as point-to-point iSCPC enable maximum flexibility when it comes to the integration of a variety of applications into a single platform. Description: Developed specifically to support the business critical applications of enterprise customers, the iNFINITI 5350 Series combines a flexible networking platform to deploy tailored topologies and configurations to support end users’ most specific needs. The 5350 series is a satellite router designed for easy deployment, integrating a satellite modem, IP router, TCP acceleration and advanced QoS and prioritization capabilities. Description: The iDirect iConnex e850 series boards offer portable, powerful and secure IP broadband connectivity Extremely compact and lightweight boards, the iConnex e850mp and the iConnex e850mp-IND are designed to be easily integrated into a portable VSAT solution. Description: The Evolution Series Satellite Router boards are designed to be easily integrated into portable solutions. The Evolution iConnex boards deliver capabilities into smaller form factors that support data, voice, and video connectivity in highly mobile military and government applications. Description: The iDirect Evolution Series eM1D1 line card is suited for supporting secure voice, data, and video communication links for mission-critical military and COTM broadband applications operating in either DVB-S2/ACM or iNFINITI TDM mode on the outbound. The eM1D1 line card supports TDMA or SCPC Return* with optional Spread Spectrum and extremely efficient FEC with 2D 16-State coding on the inbound. The line card features one modulator and one demodulator and is designed to meet the guidelines of MIL-STD 810F for operation in harsh environments. Description: With 48V BUC Power- +48 VDC BUC Power Supports up to 16W Ku-Band / 20W C-Band BUCs - Advanced QoS and traffic prioritization -Built-in 8-port Ethernet switch Highly Secure, Reliable, and Fast IP Broadband Connectivity Developed to meet the most rigorous mobility and security requirements, the Evolution 8000 Series Satellite Router provides fast, reliable quality of service enabled connections for Communications on the Move (COTM). With the integration of spread spectrum technology and DVB-S2/ACM, along with advanced FIPS-certified TRANSEC security and advanced QoS functionality, the Evolution 8000 Series provides a new level of IP broadband capabilities. Description: With 24V BUC Power +24 VDC BUC Power Supports up to 4-5W C-Band BUCs - High carrier data rates - Advanced QoS and traffic prioritization - Built-in 8-port Ethernet switch Highly Secure, Reliable, and Fast IP Broadband Connectivity Developed to meet the most rigorous mobility and security requirements, the Evolution 8000 Series Satellite Router provides fast, reliable quality of service enabled connections for Communications on the Move (COTM). With the integration of spread spectrum technology and DVB-S2/ACM, along with advanced FIPS-certified TRANSEC security and advanced QoS functionality, the Evolution 8000 Series provides a new level of IP broadband capabilities. Description: With 48V BUC Power & FIPSL2 +48 VDC BUC Power Supports up to 16W Ku-Band / 20W C-Band BUCs FIPS - Level 2 Cryptographic Security - Built-in 8-port Ethernet switch Highly Secure, Reliable, and Fast IP Broadband Connectivity Developed to meet the most rigorous mobility and security requirements, the Evolution 8000 Series Satellite Router provides fast, reliable quality of service enabled connections for Communications on the Move (COTM). With the integration of spread spectrum technology and DVB-S2/ACM, along with advanced FIPS-certified TRANSEC security and advanced QoS functionality, the Evolution 8000 Series provides a new level of IP broadband capabilities. Built-in 8-port Ethernet switch Highly Secure, Reliable, and Fast IP Broadband Connectivity Developed to meet the most rigorous mobility and security requirements, the Evolution 8000 Series Satellite Router provides fast, reliable quality of service enabled connections for Communications on the Move (COTM). With the integration of spread spectrum technology and DVB-S2/ACM, along with advanced FIPS-certified TRANSEC security and advanced QoS functionality, the Evolution 8000 Series provides a new level of IP broadband capabilities. Description: Direct's iNfiniti Series Remote Satellite Router is a "single box" solution that includes a satellite modem, IP router, TCP acceleration over satellite, and QoS/prioritization in an easy to deploy, reliable design. Description: Direct's Series Remote Satellite Router is a "single box" solution that includes a satellite modem, IP router, TCP acceleration over satellite, and QoS/prioritization in an easy to deploy, reliable design. Description: NetModem II Plus is a compact, self-contained terminal that integrates all your required hardware and software. It offers the highest bi-directional data rates available in the industry today up to 11.2 Mbps downstream and 5.75 Mbps upstream. Adding locations, increasing capacity and customizing your configuration can be accomplished quickly and easily. Description: iDirect line of remote satellite routers (series 3000, 5000 and 7000) is part of a family of solutions designed to meet the communications challenges of customers anywhere in the world. By providing different levels of functionality within the product lines, iDirect is uniquely capable of delivering the ideal networking solution for each customer network, or individual site based on their specific situation or challenges. iDirect’s combination of flexibility and scalability allow us to deliver all the functionality of traditional broadband networks, beyond the constraints of the wired world. Description: The Evolution X1 Outdoor Satellite Router is ideal for use in large, outdoor networks with small inbound channels such as SCADA, femtocells and pipeline monitoring. The Evolution X1 Outdoor Satellite Router features DVB-S2/ACM and TDMA, basic routing, VLAN functionality and QoS and is embedded in an IP67 weatherproof enclosure enabling an extended temperature range, passive cooling and multiple power options, including DC. Description: The 9350 is a new rack-mount satellite router for strategic communications. It features dual DVB-S2 demodulators, an 8-port Gigabit switch and two Ethernet ports. The 9350 provides a new level of IP broadband capability, supporting DVB-S2/ACM and Adaptive TDMA. Service providers can implement the most efficient technology dependent on their network architecture, resulting in a more cost efficient use of extremely small antennas for government and military applications including command and vehicle-based terminals. Description: The Evolution 8000 Airborne Router meets the unique needs of airborne satellite communications and is ideal for roll-on/roll-off use. The e8000 AR XL has a 19-inch rack-mountable enclosure and is certified to MIL-STD EMI, Power and Environmental specifications for aircraft. Description: Maritime Satellite Internet Modems These technologically advanced iDirect Maritime Satellite Communications Internet modems deliver high speed broadband satellite internet access to vessels and boats around the globe. iDirect maritime internet service is a highly cost effective solution for shipping companies, private yacht owners and commercial vessel operators that need to stay connected anywhere. ViaSat is in the business to connect the world. As a global broadband services and technology company, we are connecting international communities to the internet by offering residential internet service; enabling passengers and operations crews to stream high-bandwidth media, applications, and content when traveling globally on commercial, business or government aircraft and maritime vessels; and empowering international war fighters on the front lines of battle with real-time, secure internet-based intelligence, surveillance, and reconnaissance for high-requirement missions. Description: LinkStar is the highest performance, star-based VSAT system for service providers, ISPs, and corporate network managers who are seeking a system based on DVB standards. LinkStar's edge is in its dynamic bandwidth allocation that makes it more efficient and faster than other TDMA systems. Terminals can transmit data to the network hub at speeds up to 1.15 Mbps, with data downloads of up to 60 Mbps, satisfying bandwidth-intensive applications using IP data. Description: LinkStar ViaSat's newly enhanced LinkStarS2 VSAT networking system incorporates the new DVB-S2 waveform, offering up to 30% greater bandwidth efficiency and substantially reducing network operating costs. The S2-capable LinkStar hub integrates remote LinkWayS2 mesh VSAT terminals into the same network, enabling flexible hybrid star/mesh network architectures. The most comprehensive selection of Paradise Datacom L-Band Satellite Modems, Solid State Power Amplifiers, Low Noise Amps (LNA) and LNA Plates for C, X, Ku and Ka-band frequencies. Description: The Paradise Evolution Series PD10L has been designed for cost-effective lower data rate modem applications with extensive standard features and full fast upgradeable software options. This 10 Mbps capable Modem offers full compliance with IESS- 308, 309, 310, 314 & 315, plus a range of data interfaces including Ethernet. An optional integrated BUC / LNB power supply and high-stability 10MHz reference simplifies system architecture, and FSK control of the BUC is also available via the Modem. Core functions are implemented with programmable logic, which allows easy reconfiguration to the needs of the user, and provides future-proof flexibility. Description: The Paradise Evolution Series PD55L-MIL is a 55Mbps Open Network/Closed Network L-Band Modem, fully compliant with MIL188-165A and IESS-308/309, offering a range of data interfaces including Ethernet, HSSI, serial LVDS, plus a range of modulation schemes including 16QAM. The Evolution Series Satellite Modem embodies a new design concept whereby core functions are implemented with programmable logic, which allows easy reconfiguration to the needs of the user, and provides future-proof flexibility.. Description: The QUANTUM Series PD20 DVB-S2 IF Modem brings the bandwidth saving and robustness benefits of DVB-S2 to traditional SCPC services such as IBS and Drop & Insert. Paired Carrier technology overlays transmit and receive carriers reducing satellite bandwidth by up to 50%. Paired CarrierTM technology is patented by Viasat Inc. QUANTUM modems are fully backward compatible with Paradise Evolution modems when DVB-S2 and Paired Carrier are disabled. Description: PD60 DVB S2 IF Satellite Modem The Paradise QUANTUM Series PD60 Modem brings the bandwidth saving and robustness benefits of DVB-S2 to traditional SCPC services such as IBS and Drop & Insert. Paired Carrier technology overlays transmit and receive carriers reducing satellite bandwidth by up to 50%. Paired CarrierTM technology is patented by Viasat Inc. QUANTUM modems are fully backward compatible with Paradise Evolution modems when DVB-S2 and Paired Carrier are disabled. 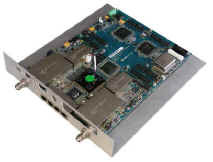 Description: The Teledyne Paradise Datacom Q-Lite "Comms-on-the-Move" Satellite Modem Card is a compact, single-board satellite modem suitable for integration into custom enclosures for portable communications and comms on the move. The Teledyne Paradise Datacom Q-Lite "Comms-on-the-Move" Satellite Modem Card has been designed for simple mechanical integration into OEM products, being small in physical size and with very low power consumption. It is compatible with our Q-Flex™ and Quantum IP modems. Description: The new Q-Flex satellite modem is a software-defined modem running on a new universal hardware platform. The design makes it capable of doing whatever you want it to do now and in the future. Q-Flex combines exceptional performance, flexibility, simplicity and value. Q-Flex is a new from the ground-up design that incorporates not only current Evolution Series modem features, but many new ones including an optimized spectral roll-off feature that can provide up to 20% bandwidth savings. When combined with other bandwidth saving features such as Paired Carrier and FastLink-LDPC, Q-Flex provides an excellent value proposition for customers who want to squeeze everything they can from a transponder. Description: Paradise Datacom offers a robust fiber-optic interface solution for the popular Compact Outdoor Solid-State Power Amplifier and Evolution Series Modems. The interface allows protocol transparent transmission of block down-converted C-, X-, and Ku-Band signals for distances of up to 10 km. Description: Includes: INTELSAT Reed-Salomon, Wideband IF (50 - 180 MHz), High Data Rates (512 _ 5 Mbps), Async ESC, IBS/SMS, y Drop & Insert. Description: Besides the features of model P300 IBS, includes: IDR card to connect to IESS 308, and PRBS Tester. Description: The Newtec EL470 is a state-of-the-art satellite modem designed for the transmission and reception of IP streams over satellite at rates of up to 133 Mbit/s in full compliance with the DVB standards. The EL470 modem connects directly to terrestrial IP network infrastructures via a single auto-switching Gigabit Ethernet interface. Description: The Newtec BWC0900 is the state-of-the-art Bandwidth Canceller unit optimized for data applications over satellite, ranging from IP Trunking, Backbone and Backhaul to Government networks. By combining the forward and return transmissions in the same satellite bandwidth up to 30% extra capacity can be made available. This extra capacity gives room for considerable OPEX savings or deployment expansions by adding services within the same available bandwidth. Description: The Newtec MDM5000 Satellite Modem– as used on the Newtec Dialog platform – is the first VSAT modem on the market that supports DVB-S2X. With a symbol rate ranging from 1 up to 133 Mbaud and coding from QPSK to 256APSK in the forward channel, it enables network operators to set-up almost any type and size of network on any available type of satellite – for example, traditional FSS, next generation High Performance Satellites, HTS. Description: The Newtec MDM6000 Satellite Modem system bundle is the next generation modem optimized for point-to-point very high speed IP applications over satellite. In combination with the NOP1760 Bandwidth Manager the modem achieves barrier-breaking speeds at the highest bandwidth efficiency and maximum service availability. The MDM6000 very high speed solution is in full compliance with the DVB-S2 standards and the upcoming S2 Extensions candidates. Description: The Newtec MDM6100 was built upon extensive latest generation RF and flexible programmable technology. Migrating standard distribution links towards the new DVB-S2X standard is as simple as integrating this modem in the head-end while keeping the installed base of IRDs. A scalable, pay-as-you-grow, licensing and software upgrade mechanism facilitates the launch of new services, or last minute network design changes, without rebuilding the entire network infrastructure. Description: The highly advanced ZN461 is a brand new LDPC satellite modem designed for low to medium rate Internet Protocol applications over satellite. The modem typically addresses a large set of IP point-to-point or multi-point-to-point applications (e.g. enterprises, government and defense, DSNG, oil and gas, etc.) as from 1.2 kbps. 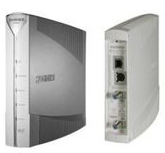 As a default the ZN461 modem connects directly to terrestrial IP network infrastructures via serial connections or alternatively through an optional Ethernet interface. Description: The Newtec MCX7000 was built upon extensive latest generation RF and flexible programmable technology. This Multi-Carrier Satellite Gateway is a future-proof building block that lets any satellite network evolve to the next level of capabilities. A scalable, pay-as-you-grow, licensing and software upgrade mechanism facilitates the launch of new services, or last minute network design changes, without rebuilding the entire network infrastructure. Description: The Newtec MDM3100 IP Satellite Modem is a 2-way, high throughput modem supporting a wide range of IP Services like internet/intranet access, VoIP, enterprise connectivity and multicasting services. Its ease of installation and high performance modulation techniques enable network operators to offer bandwidth intensive IP broadband services in a cost effective way. Description: The MDM3300 Satellite Modem is a 2-way (transmit and receive), high throughput platform that supports a wide range of IP Services like internet access, VoIP, enterprise connectivity, backbones for backhauling, contribution and multicasting services. Its ease of installation and high performance modulation techniques enable network operators to offer various bandwidth intensive services in a cost effective way. Description: Newtec EL820 Performance Enhancing Proxy Terminal is a PEP appliance that combines a number of advanced traffic enhancement and shaping functionalities for the end points of point-to-multipoint satellite IP network and primarily targeted for VSAT acceleration and corporate networking. The EL820 PEP-Box Terminal is to be used in conjunction with the EL840 PEP-Box Server at the other end of the transmission link. Description: The EL178 is a state-of-the-art satellite modulator optimized for high speed IP applications over satellite in compliance with the DVB-S2 standard. As a real IP product, this modulator performs IP processing functions such as packet filtering, routing and encapsulation. In order to achieve speeds up to 160 Mbit/s, only the fastest and most bandwidth-efficient encapsulation and modulation parameters are supported. NovelSat is a technology company dedicated to providing the next-generation modulation standard for satellite communications. NovelSat supports DVB-S, DVB-S2 and DVB-S2X standards and also offers the superior spectral efficiency of its NovelSat NS4 high-end efficiency satellite transmission software package which is available in all NovelSat satellite modulators, demodulators and modems. NovelSat technologies deliver the fastest data rates, the satellite industry’s most compelling ROI and the most scalable transmission solutions from 64Kbps to 850Mbps on a single modem. Description: NovelSat NS300 Satellite Modem For IP data transmission applications requiring satellite data rates below 30Mbps, the NovelSat NS300 Satellite Modem is the optimal solution. Designed for cost-effective low-data rate applications including cellular backhaul, IP trunking and other data services, the NS300X can simultaneously send and receive a total of 60Mbps per modem. Now, even at low data rates, satellite users can benefit from both cost effective prices as well as the high-performance experience of advanced NovelSat technology. Description: NovelSat NS300X Satellite Modem For IP data transmission applications requiring satellite data rates below 30Mbps, the NovelSat NS300X Satellite Modem is the optimal solution. Designed for cost-effective low-data rate applications including cellular backhaul, IP trunking and other data services, the NS300X can simultaneously send and receive a total of 60Mbps per modem. Now, even at low data rates, satellite users can benefit from both cost effective prices as well as the high-performance experience of advanced NovelSat technology. Description: The NovelSat NS3000 Satellite Modem offers several hardware and software options to accommodate a wide range of customer needs. It supports point-to-point as well as point-to-multipoint links and incorporates the NovelSat high-efficiency NSPE™ encapsulation scheme. Best Performance The NovelSat NS3000 Satellite Modem offers a dramatic performance upgrade over DVB-S2 and any other available equipment. This high performance is achieved through NovelSat NS3™ technology coupled with the capacity to transmit using a single carrier over a 84MHz channel. In addition, the NS3000 incorporates advanced NovelSat DUET™ Channel-Echo-Cancellation™ technology and a built-in receiver equalizer that further improves performance over saturated channels. Description: NS1000 Modulator delivers industry-leading data rates — a single unit covers the whole data range from 100Kbps up to 365Mbps using 70Msym/sec transmission. The NovelSat NS2000 Demodulator redefines industry data rate limits, supporting up to 425Mbps using 70Msym/sec transmission. The NovelSat NS200X is a modular multi-Rx channel satellite demodulator designed to meet the needs of satellite broadcasters and data providers of all sizes. With up to three plug-in modules, it can contain up to 24 demodulators in a single 1U box, which can dramatically reduce rack space and maintenance resources. Description: Datum Systems offers highly versatile and efficient satellite modems. Our high performance L-Band Satellite Modem, the Datum Systems PSM-500L L-Band Satellite Modem, is the industry’s most reliable & flexible modem in its class with multiple external BUC supply options for easy field configurablility. The PSM-500L is unmatched by any other modem for its BER performance, fast acquisition, low latency and total power/bandwidth optimization. Description: Datum Systems PSM-500LT L-Band Satellite Terminal combines the performance and reliability of our M500 Series modems with an integrated BUC Power Supply and High Stability 10 MHz reference. The PSM-500LT is the industry’s most versatile, reliable and efficient remote satellite modem. It is unmatched by any other modem for its BER performance, fast acquisition, low latency and total power/bandwidth optimization. Description: Datum Systems manufactures highly versatile and efficient satellite modems. This high performance 70/140 MHz Satellite Modem, the PSM-500, is the industry's most reliable & flexible modem in its class and is unmatched by any other modem for BER performance, fast acquisition, low latency and total power/bandwidth optimization. The PSM-500 can be configured in mod and demod-only modes to support point-to-multipoint architectures at a hub or gateway site. Description: Compact Modular Design - The completely new M7 modem hardware platform fits within a single half-rack 1 RU space, or two modems mounted side-by-side, saving expensive rackspace at the hub. The M7 design uses individual card assemblies for mod, demod, controller and interface for versatile configurations and simple cost eﬀective inventory. Description: Datum Systems M7LT Series L-Band Remote Satellite Terminal Compact Modular Design Datum Systems innovation is transforming the SCPC and MCPC modem industry with a new generation modular modem product, the M7 Series, that is versatile, compact, highly efficient and costs less to own and operate. Million dollar modem. Description: Datum Systems, Satellite Modem Model PSM-505. 70 MHz Transmission and Reception. The basic model comes with rate of 5 MBps, BPSK, and QSPK and Viterbi FEC. Add Turbo FEC. Faster Speeds: HughesNet Gen5 is faster than ever—25 Mbps3 download and 3 Mbps upload speeds. More Data: It's easy: just choose a plan with the amount of data that's right for you. Built-In Wi-Fi Connect your wireless devices at home. 2.4 GHz and 5 GHz for incredible speeds and excellent coverage. HughesNet’s EchoStar XVII Satellite. HughesNet launched their most advanced satellite yet –EchoStar XVII – into geostationary orbit in July 2012. ... EchoStar XVII moves in geostationary orbit along this line: 22,236 miles above the Earth. Description: The Hughes Net HN9000 modem designed to deliver higher speeds and improved performance for all Hughes Net service plans. The HN9000 receives and transmits data over the satellite through the Hughes Net network. The HN9000 is compatible with Windows and Macintosh operating systems, and connects effortlessly with your computer via simple Ethernet connection. Description: This is a complete Hughes Net Ku Band HN7000s .98m 2 watt Residential / Small Business Two-Way Satellite Internet System offering speeds of up to 2.5mb down x 1000k up! Monthly Service is sold separately. Description: To get the most out of devices today, you need to connect them to the Internet through a service like HughesNet®. If you want to connect more than one device to the Internet, however, you need a router. A router makes it possible for other devices–laptops, tablets, and gaming consoles–to connect to the Internet without running ethernet cables all over your house. With HughesNet Gen5, its integrated Wi-Fi modem includes a satellite modem and an advanced Wi-Fi router so you can quickly and easily connect your devices to the Internet without purchasing a separate router. Description: The HX90 is a high-throughput capable and highly scalable satellite router that enables operators to provide cost-effective satellite broadband services over Ku- and Ka-band networks. Supporting up to 60 Mbps of multicast traffic throughput, 45 Mbps of UDP throughput or 15 Mbps of TCP throughput, the HX90 delivers exceptional performance. The HX90 includes the full suite of HX System Quality of Service (QoS) features which enable operators to tailor service plans to meet the needs of the most rigorous end users. Description: The HX200 is a high-performance satellite router designed to provide carrier-grade IP services using dynamically assigned highbandwidth satellite IP connectivity. The HX200 satellite router provides flexible Quality of Service (QoS) features that can be tailored to the network applications at each individual remote router, such as Adaptive Constant Bit Rate (CBR) bandwidth assignment to deliver high-quality, low jitter bandwidth for real-time traffic such as Voice over IP (VoIP) or videoconferencing. With integrated IP features including RIPv1, RIPv2, BGP, DHCP, NAT/PAT, and DNS Server/Relay functionality, together with a high-performance satellite modem, the HX200 is a full-featured IP Router with an integrated high-performance satellite router. Description: The DW6000 is a high-throughput capable and highly scalable satellite router that enables operators to provide cost-effective satellite broadband services over Ku- and Ka-band networks. Supporting up to 60 Mbps of multicast traffic throughput, 45 Mbps of UDP throughput or 15 Mbps of TCP throughput, the HX90 delivers exceptional performance. The HX90 includes the full suite of HX System Quality of Service (QoS) features which enable operators to tailor service plans to meet the needs of the most rigorous end users. Description: DiRECWAY Internet via satellite Home Edition provides premium performance at a value price. The Direcway satellite Internet service is versatile enough to be used in your store, small office, or home office and ideal for families and teleworkers. Exede satellite broadband service is the fusion of the newest and most advanced satellite in the world, cutting-edge equipment and a brand new state-of-the-art web browsing acceleration optimizing technology. We've also constructed an entirely new network infrastructure on the ground that further enhances your internet speeds. When you sign up as an Exede internet customer, you also get a brand new modem that contains new technology to make your web browsing faster. Description: The Exede WiFi Modem, currently available in many areas, includes a built-in wireless router, Ethernet router and an integrated Exede Voice adapter for optional home phone service. By combining a modem, wireless router, Ethernet router and a phone adapter into a single device, we’re reducing the clutter in your home while simplifying your experience. Description: The CDM-760 Advanced High-Speed Trunking and Broadcast Modem builds on our award-winning family of high-speed, ultra efficient trunking modems. The CDM-760 further enhances our offerings to include ultra wide band symbol rates, near theoretical performance with minimal implementation loss, a variety of high efficiency MODCOD selections. Configurable as a true DVB-S2&S2X broadcast modulator, demodulator or Modem and supports GEO and MEO mode operation with hitless antenna handover and satellite handover., Super Jumbo Frame (SJF) Ethernet support and many other value-added features. Configurable: Modulator - Demodulator - Carrier-in-Carrier - IP Compression - Interface - AUPC / ACM / Predistortion - Input Power - Network Specification - Cord - Symbol Rate - License - Software. Description: The CDM-625A Advanced Satellite Modem builds on our legacy of providing the most efficient satellite modems. With support for Versa FEC, the revolutionary Doubletalk Carrier-in-Carrier bandwidth compression, lower roll offs and advanced packet processing, the CDM-625A provides significant savings under all conditions. Description: The CDM 570A, CDM-570AL and CDM-570A/L-IPEN are our next generation satellite modems that provide industry-leading performance and flexibility in a 1 RU package at a very competitive price. With support for VersaFEC-2 high performance LDPC and VersaFEC low latency LDPC Forward Error Correction (FEC), the revolutionary Doubletalk Carrier-in-Carrier bandwidth compression, and optimized transmit filter roll offs, the CDM-570A and CDM-570AL provide significant bandwidth savings. Description: The DMD2050E provides highly advanced and bandwidth efficient forward error correction (FEC). Advanced FEC options include Low Density Parity Check (LDPC), Turbo Product Codes (TPCs) and 165B Turbo Codes. Legacy support for Viterbi, Trellis, Concatenated Viterbi Reed‑Solomon, and Sequential FEC are also included. A complete range of modulation types is supported including BPSK, QPSK, OQPSK, 8PSK, 8-QAM, 16-QAM and 16APSK. Description: The CDM-750 Advanced High-Speed Trunking Modem was designed to be the most efficient, highest throughput, point-to-point trunking modem available. The CDM-750 accommodates the most demanding Internet Service Provider (ISP) and telco backhaul links by offering users the most advanced combination of space segment saving capabilities while minimizing the need for unnecessary overhead. With the ability to process packets at line speed, the CDM-750 will not throttle throughput due to processing limitations. 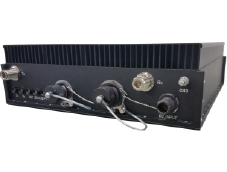 Beginning with the most efficient coding and modulation available, the CDM-750 leverages the DVB-S2 EN 302 307 LDPC/BCH standard to provide the best possible combination of coding and forward error correction ensuring that the maximum amount of satellite traffic is transported for a given signal to noise capacity. Description: The DD240XR Digital Video Broadcast Demodulator is DVB-S and DVB-S2 compliant. It is an ideal choice for high data rate video and Internet applications, meeting the latest in DVB standards EN300-421, EN301-210 and EN302-307. The unit supports QPSK, 8PSK and 16-QAM applications for DVB-S and QPSK, 8PSK, and 16APSK for DVB-S2 up to 45 Msps. Supporting a variety of data and IF interfaces, the DD240XR is configurable to meet all high-speed satellite applications. With field upgradeable features, the DD240XR can be easily upgraded, adding features like DVB-S2, 8PSK, 16-QAM and 16APSK. Description: The CDM-625A-EN Advanced Satellite Modem builds on our legacy of providing the most efficient satellite modems for IP-centric applications that require data encryption. With support for VersaFECÂ® Forward Error Correction (FEC), the revolutionary DoubleTalkïƒ¢ Carrier-in-Carrierïƒ¢ bandwidth compression, additional rolloffs and advanced packet processing, the CDM-625A-EN provides significant savings under all conditions. Description: The CDD-564AEN, CDD-564ALEN and CDD-562ALEN are our next generation integrated IP demodulators with 3xDES data decryption providing industry leading performance in a 1 RU package at a competitive price. They are designed to receive up to four independent 70/140 MHz or L-Band channels (depending on model) and combine the receive data into a single 10/100Base-T Ethernet port for transmission onto the LAN. Description: The CDD-564A, CDD-564AL and CDD-562AL are our next generation integrated IP demodulators providing industry leading performance in a 1 RU package at a competitive price. They are designed to receive up to four independent 70/140 MHz or L-Band channels (depending on model) and combine the receive data into a single 10/100Base-T Ethernet port for transmission onto the LAN. The demodulators are designed to operate with Comtech EF Dataâ€™s CDM-570/L-IP and CDM-570A/L-IP IP-enabled modems. Description: The CDMER-625A is the Environmentally Resistant (ER) version of the CDM-625A. It offers added protection in more aggressive operating environments that have a higher concentration of dust, sand and salt. The ER version uses an application of Urethane Conformal Coating (CC) and critical interface protective covers for enhanced protection against dust, sand and salt. Special protective Conformal Coating and protective covers have been designed to ensure that the CDMER-625A meets MIL-STD-810G requirements including Method 510 Procedure I (Blowing Dust), Method 510 Procedure II (Blowing Sand) and Method 509 (Salt Fog). Both the CC and protective connector covers are non-nutrient fungal growth materials. Base modem Configuration - Prices Vary. Description: The CDM-625 Advanced Satellite Modem builds on our legacy of providing the most efficient satellite modems. It was our first modem to combine advanced Forward Error Correction (FEC) such as VersaFEC and Low Density Parity Check (LDPC) codes with the revolutionary DoubleTalk Carrier-in-Carrier bandwidth compression, allowing for maximum savings under all conditions. Description: The CDM-625-EN Advanced Satellite Modem builds on Comtech EF Dataâ€™s legacy of providing the most efficient satellite modems for IP-centric applications that require data encryption. It is the first modem to combine advanced Forward Error Correction (FEC) such as VersaFECïƒ¢ and Low Density Parity Check (LDPC) codes with the revolutionary DoubleTalkïƒ¢ Carrier-in-Carrierïƒ¢ bandwidth compression, allowing for maximum savings under all conditions. Description: The DMD20 Satellite Modem breaks new ground in flexibility, operation and cost. With standards including IDR, IBS and DVB, and covering data rates up to 20 Mbps, this 1RU duplex modem covers virtually all your Satellite IP, Telecom, Video and Internet applications. Switch between spur-free 70/140 MHz operation and L-Band without any configuration changes. It's all in the same box! Base modem Configuration - Prices Vary. Romantis provides and supports bandwidth on domestic, regional and international satellite systems such as Intelsat, RSCC, SES and others. We can accommodate individual bandwidth requirements from small circuits of 0.5 MHz all the way up to full transponder and thereby guarantee the availability of cost effective satellite time for your transmission. Description: The Romantis UHP-100 Broadband Satellite Router is a high-performance modem designed specifically for large scale rapid deployment in broadband VSAT networks operating over High-Throughput Satellites. This router combines the Universal Hardware Platform advanced architecture, which was developed in the previous generation of the award-winning UHP product line, with the state-of-the-art semiconductor technology. Description: The highly advanced Romantis UHP-8000 is a rack-mountable chassis with two integrated UHP-1000 routers, power supplies and IF subsystem. The 8000 series satellite router is a universal component of TDMA satellite networks, regardless of operation mode or topology. Its primary application is in large Hub stations, where multiple UHP routers are cascaded. UHP-8000 dual router is also a good fit for redundancy solutions with hot standby. Description: The Romantis UHP-200 High Throughput Satellite Router delivers the highest IP packet processing capability, which is based on a new advanced hardware platform and is fully backward compatible with all previous generations of UHP routers. The 200 series router is a high-performance unit designed specifically for large scale rapid deployment in broadband VSAT networks operating over High-Throughput Satellites. This router combines the Universal Hardware Platform advanced architecture, which was developed in the previous generation of the award-winning UHP product line, with the state-of-the-art semiconductor technology. Description: The Romantis UHP-1100 Hubless VSAT Satellite Router Card is a compact single card ideal for integration into third-party OEM products. It is fully compatible with any other satellite routers of the UHP series. The router card has LED indicators, SMA or F connectors for RF input/output. 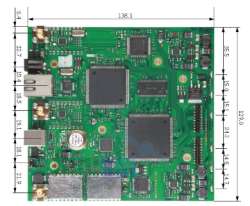 This extreme versatility makes this board based router a universal software defined component of a highly-efficient satellite network utilizing any operation mode or topology. Description: The Romantis UHP-1000 Hubless VSAT Satellite Router is fully scalable and can be operated as a mini-hub or a remote station in a TDM/TDMA network, or any node (master or slave) in a fully meshed Hubless TDMA network. This extreme versatility makes this router a universal software-defined component of a highly-efficient satellite network utilizing any operation mode or topology. Description: The Romantis UHP-1200 Outdoor Satellite Router is a completely weatherproof compact unit that's ideal for use at remote and unmanned VSAT network locations such as transportable and mobile terminals, SCADA, M2M or cellular backhaul sites. For over 30 years, WORK Microwave has been a leading developer and manufacturer of RF electronics technologies and products. Known for its quality products, customized solutions, reliability, and world-class customer service, WORK Microwave sets the industry benchmark for innovation in microwave and signal processing technologies. All of the company’s products are developed and produced in-house, leading to an unrivalled response time to customer needs. The products in WORK Microwave’s four divisions — SatCom, Navigation Simulators, Sensors & Measurement, and Defense Electronics — have been deployed and endorsed by many of the leading communications operators, systems integrators, defense manufacturers, and public services worldwide. Description: The A-Series is a next generation FPGA-based family of satellite modem, modulator and demodulator platforms. The Work Microwave AR-60 IP Demod supports the new DVB-S2X standard, providing users with a future-proof solution. Advanced featuulator is based on a powerful architecture that res and benefits include higher modulation schemes up to 256APSK, a finer granularity of ModCods and advanced filtering. Beyond DVB-S2X, the AX-60 platform can be extended to customized waveforms and user-defined data processing. Through an all-IP structure, the platform supports both native network operation as well as data streaming over IP. Built-in encapsulators and decapsulators provide support for the standard formats, such as GSE and MPE plus specialized streaming like transparent baseband data, raw IQ information, space data formats and more. Description: The Work Microwave SK-TS DVB-S2 Modem provides operators with a platform for transferring IP/Ethernet data over DVB-S2 satellite connections. Ethernet frames and IP packets are encapsulated directly within DVB-S2 baseband frames, resulting in low encapsulation overhead. In order to achieve speeds up to 356 Mbit/s, only the fastest and most bandwidth efficient encapsulation and modulation parameters are supported. For maximum bandwidth efficiency and ease of operation the device uses Generic Stream Encapsulation according to TS 102 606 and Multiprotocol Encapsulation according to EN 301 192. 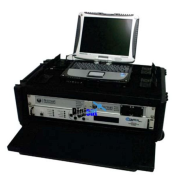 The modem SK-TS is used for transmitting and receiving signals as MPEG transport streams. DVB-S as well as DVB-S2 modulation types are supported. Description: The Work Microwave SK-DV DVB-S2 DaVid Modem SK-IP provides operators with a platform for transferring IP/Ethernet data over DVB-S2 satellite connections. Ethernet frames and IP packets are encapsulated directly within DVB-S2 baseband frames, resulting in low encapsulation overhead. In order to achieve speeds up to 356 Mbit/s, only the fastest and most bandwidth efficient encapsulation and modulation parameters are supported. For maximum bandwidth efficiency and ease of operation the device uses Generic Stream Encapsulation according to TS 102 606 and Multiprotocol Encapsulation according to EN 301 192. Description: The Work Microwave SK-IP DVB-S2 IP Modem provides operators with a platform for transferring IP/Ethernet data over DVB-S2 satellite connections. Ethernet frames and IP packets are encapsulated directly within DVB-S2 baseband frames, resulting in low encapsulation overhead. In order to achieve speeds up to 356 Mbit/s, only the fastest and most bandwidth efficient encapsulation and modulation parameters are supported. For maximum bandwidth efficiency and ease of operation the device uses Generic Stream Encapsulation according to TS 102 606 and Multiprotocol Encapsulation according to EN 301 192. Products and Services · End User Support and Integration Services; Cell Phones, ... Cell phones, broadband cards, satellite devices, and miscellaneous. Specify a quantity for any of the products listed on this page, then click 'Add to Cart' to add them to your shopping cart. Telecommunication & AV Equipment. VOIP & UC; Outdoor Products; Business Equipment; Consumer Electronics; Home & Personal. We distribute wholesale telecom equipment & supplies to qualified dealers and Miscellaneous Brands Miscellaneous Brands: Computer, Satellite and Networking. Description: The SM1 Advanced DVB -S2 SCPC Modem with a GigE interface, offers service providers a strong edge when operating their services In today ’s competitive market. SM1’s best cost-performance parameters lead the market. With the high spectral efficiency of the DVB-S2 standard and its extensions the SM1 delivers more performance at lower cost and significantly reduces long-term operating costs. With return channel that can be selectable from SCPC DVB -S2, DVB-R CS or Random Access, The SM1 is optimal for any network. Description: The Holkirk MDM3100 ‘Rugged’ is the latest in the ODU range from Sematron and is a complete IP65 sealed solution that incorporates the industry leading MAPD2 pointing system for all Sematron IP satellite antennas. The MDM3100 ‘Rugged’ is a two-way, high throughput modem supporting a wide range of IP services, for example internet/intranet access, VoIP, enterprise connectivity and multicasting services, with the advantage of outdoor operation. The IP satellite modem is available with unique MPAD2 easy-installation technology, supporting the installation of the complete terminal without any specific qualification or expensive tooling needed. With built-in GPS, inclinometer and electronic compass, the MPAD2 provides correct satellite elevation, azimuth and identification, and facilitates pointing with audio feedback. Description: The Norsat CIDU offers maximum Flexibility and durability. Like all Norsat equipment, the CIDU is extensively tested to withstand the elements in even the most remote and austere environments. With its 19”, 2RU chassis, the Norsat CIDU can accommodate a variety of customized IDU configurations Flexible. Intelligent. Tough. With its modular, compact design, the Norsat CIDU can house a power supply, a Satellite Acquisition Assistant Module, and a variety of user-selectable modems. Description: Coaxial Networks - Cable Modem Termination System The Coaxial Networks IRIS is a very compact and cost effective solution. The system comprises of all the hardware and software elements tied together to provide one comprehensive solution. Utilizing the existing cable infrastructure, which means no costly rewiring or downtime; operators can quickly deploy broadband services. The core elements of the system are DOCSIS 1.0/1.1 compatible system, provisioning of subscribers and services, bandwidth and policy management. Coaxial Networks provides the complete solution including the CMTS, Software and Cable Modems coupled with network monitoring and end user customer support. Description: With the ViaSat Commercial Broadband Modem 124 (CBM-124), you can quickly integrate mesh networking and routing with any VSAT satellite communications antenna for all-in-one tactical communications that can withstand any type of weather. The ViaSat CBM-124 is an all-inclusive Ethernet-based unit that houses a ViaSat LinkWayS2 SATCOM modem, an Ethernet/IP router, and access to ViaSat’s Computer Aided Manual Point (CAMP) Android™ application. Description: The LinkWay modem is the battlefield standard for C4I communications. This hub less MF-TDMA VSAT system enables you to cost-effectively integrate a variety of applications into a single platform in any network topology – full-mesh, star (hub/spoke), or hybrid. Adaptive on-demand bandwidth allocation and bandwidth-efficient coding and modulation engineered into the LinkWay system gives you cost-effective broadband connections between any LinkWay-equipped sites. Features such as turbo coding and 8PSK modulation provide substantial bandwidth savings, reducing your transponder costs compared with other systems. Description: Blonder Tongue Communication Station Cable - Modem Termination System The Blonder Tongue CMTS (Cable Modem Termination System) conceptually converts Ethernet based digital data signals to RF signals and vice versa, allowing two-way transmission of digital data over coaxial cable or HFC (Hybrid Fiber Coax) networks. The Blonder Tongue Communication Station CMTS unit is based on the DOCSIS Data Over Cable Service Interface Specification) standards. The Blonder Tongue CMTS features a scalable design architecture that supports one DOCSIS or Euro-DOCSIS downstream channel with 64 or 256 QAM modulation and up to eight (8) upstream channels that can be factory or field installed supporting QPSK or 16 QAM. The Blonder Tongue CMTS is a single rack unit (1.75” high) can be installed in a cable headend facility or a distribution hub site and can function with any DOCSIS/EuroDOCSIS certified CPE (Customer Premise Equipment) device. Description: Bring full-mesh MF-TDMA networking to any micro satellite terminal with the embeddable ViaSat Commercial Broadband Modem 100 (CBM-100). This SATCOM module is compact enough to integrate SATCOM terminals sized at 1 meter or less, and delivers secure, high-speed networking for on-the-move and at-the-halt operations. Arris Group is an American telecommunications equipment manufacturing company that provides cable operators with high-speed data, video and telephony systems for homes and businesses. Description: With this low-priced gateway, experiencing high speed Internet is only the beginning. The 2200 Series has the ability to enable VoIP, experience broadcast quality video, or set up a small home network to share data, music, or video files. They are easy to install and can be automatically configured and remotely managed. The 2200 Series opens up the Internet without the high cost. Affordable Triple-Play for the Home The Motorola Netopia 2200 Series ADSL2+ gateways are ideal for the home user who wants an affordable gateway armed with the triple-play power of voice, video, and data service delivery. Description: Motorola Netopia 3300 Series ADSL2+ Residential and Business Gateways. Performance-optimized Netopia 3300 Series gateways offer full-featured support for maximum media play over a home network or the essential business activities of a small, networked office. A Network in a Box With Motorola Netopia 3300 Series ADSL2+ Residential and Business Gateways, high-speed Internet access is only the beginning. 3300 Series ADSL2+ gateways can be used to network a home or small office to share an Internet connection, a printer, and other networked devices, and transfer data, music, and video files. Description: Motorola SBG900 Wireless Cable Modem - Using the latest DOCSIS 2.0 Advanced Time Division Multiple Access (A-TDMA) and Synchronous Code Division Multiple Access (S-CDMA) technology, Motorola’s Wireless Cable Modem Gateway, the SBG900, combines an industry-leading SURFboard cable modem, an IEEE 802.11g wireless access point, and an advanced firewall into one, compact product. It’s the perfect networking solution for the home, home office, or small business — users can create a custom network to share a single broadband connection, files, networked printers and peripherals, with or without wires. Cost-effective and efficient, the Motorola SBG900 eliminates the need for three separate products and allows users to maximize the potential of their existing resources. The Motorola SBG900 also offers enhanced network security for both wired and wireless users. Description: Motorola’s next-generation SURFboard SB5101 cable modem incorporates DOCSIS 2.0 technology, providing up to three times the upstream capacity of DOCSIS 1.0 or 1.1. For a smooth transition, the Motorola SB5101 is backwards compatible with DOCSIS 1.0 and 1.1. Operators can deploy the Motorola SB5101 without a service interruption, maximizing their current infrastructure investment while simultaneously offering new value-added services. Description: Motorola SBV5120 VoIP Cable Modem - The next-generation Motorola SURFboard SBV5120 VoIP cable modem is based on the Motorola SURFboard SB5120 cable modem and Motorola's proven cable modem experience. By using industry-standard signaling protocols, the Motorola SBV5120 provides high speed internet access and telephone service over cable lines directly to a consumer's home. Description: Modem with Integrated Battery Backup - The Motorola SURFboard SBV5220 VoIP cable modem with integrated battery backup uses industry-standard signaling protocols to provide high-speed Internet access and telephone service over cable. The Motorola SBV5220 supports: all SURFboard cable modem features. Two telephone lines terminated by RJ-11 connectors. High-speed data connection to a computer through Ethernet or USB. Integrated battery backup. Description: Cable Modem Termination System and Router the Motorola Broadband Services Router (BSR 2000) allows cable operators to generate incremental revenue, reduce operational cost, and more cost- effectively introduce voice, data and video services to additional subscribers. This compact, high performance Cable Modem termination System (CMTS) is ideal for small or medium sized distribution hubs or for larger sites in the earlier stages of market penetration of broadband services. Extremely wide range of configuration options and supported bandwidth types Configurable: Modulator - Demodulator - Carrier-in-Carrier - IP Compression - Interface - AUPC / ACM / Predistortion - Input Power - Network Specification - Cord - Symbol Rate - License - Software - Data Rate - FEC - Accessories - Overhead - Error Correction - Framing - Transec - Reference - Prices may vary. Base modem Configuration. A link budget enables factors such as the required antennas gain levels, radio transmitter power levels, and receiver sensitivity figures to be determined. Please complete the following form to ensure proper configuration.